Would You Like To Take Part in a Jamboree? West Lancashire Scouts are sending a Contingent to next summer’s Haarlem Jamborette. Based in the fantastic venue of Spaarnwoude Park, the jamborette offers an exciting range of activities. We plan to travel a few days before the start of the jamborette and spend some time exploring nearby Amsterdam and Haarlem. At a jamboree, you will make friends from many nations and for this camp, we will be establishing a joint contingent with Explorer Scouts from Slovakia. The provisional dates are 24th July to 7th August 2019. Applications are invited from Explorer Scouts and Young Leaders from all parts of West Lancashire. The closing date for applications is Sun 14th October but don’t delay, places are limited. Hello. 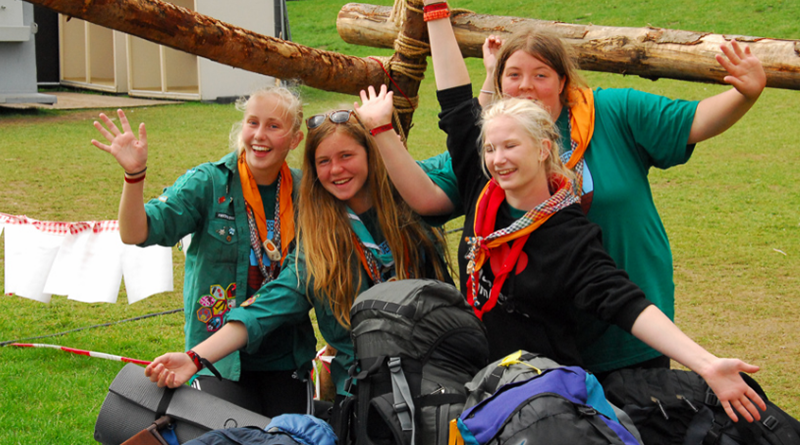 Can Scouts apply for Haarlem jamborette? My daughter will have moved up to explorer scouts by date of departure. Thanks. Yes anyone who is aged 14 to 17 on the day we depart,(24th July 2019) can apply. For anyone under 14 in July 2019 please email us at hj2019@westlancsscouts.org.uk and we will advise on the best way to get to the Jamborette. Hi i am 16 yrs old and an Exporer with Enterprise ESU South Ribble.I am wondering if there are any spaces left on the Haarlem Jamborette. Morning, yes there still space on the trip! Hi my son is young leader and interested in the jamboree 2019. Just wanted to enquire regarding transport. Would parents have to get the children to Netherlands or is the travel included to/from UK? Travel is included in the fee for the Jamborette! Although the closing date for applications has passed, we may be able to add a few more places up untill the 31 Dec, subject to flights being available. If you are interested in joining this trip please email us at hj2019@westlancsscouts.org.uk and we will advise on availability.